Perfect for the car keys and to celebrate an important date or car, our personalised keyring features the iconic UK tax disc design. 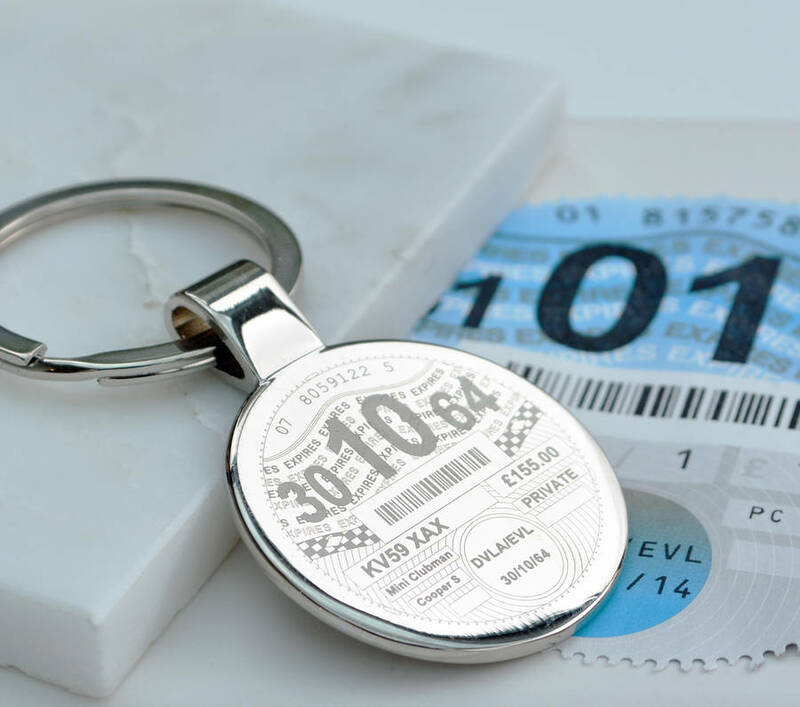 The metal keyring features on the front side the last ever design of the tax disc, which can be personalised with a date of your choice and all the car details including the car make, model and registration. 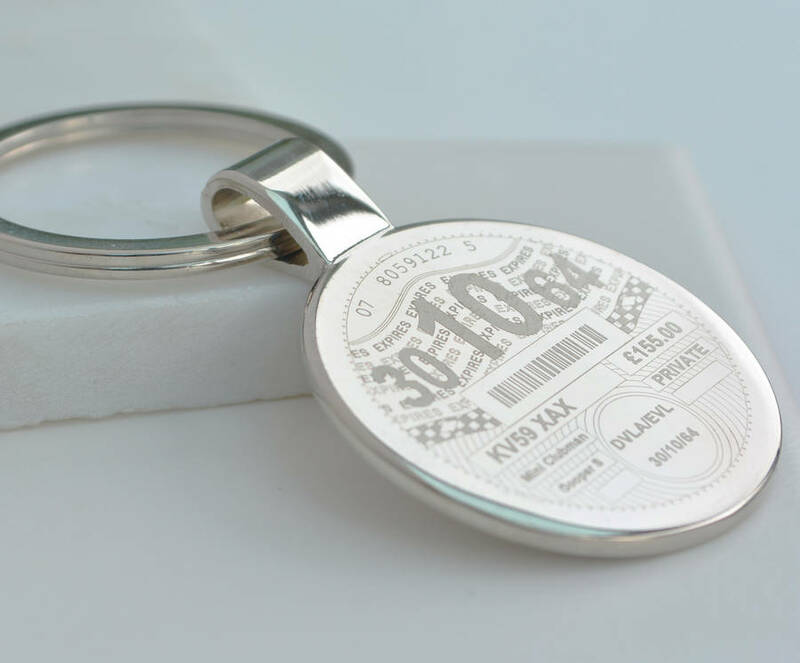 The back of the keyring can be left blank or personalised with a message. Please note there is an additional £5 charge for this extra engraving. The tax disc does not repeat on the back of the keyring. A great way to celebrate a birthday, Father's Day, passing your test or a new car. 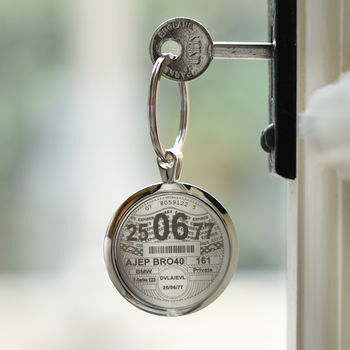 As a special gift for a Dad, the details could be amended to show his birthday and the car registration shown as D4 DDY. Personalisation details can be numbers or letters for any field apart from the date field. For example, the price field could say £155.00 or could say DADDY.